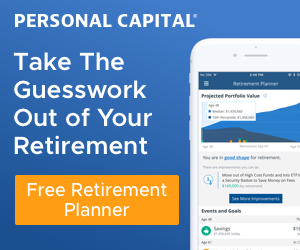 I thought I’d take a step back from my normal posts to update everyone on our status – where we’re currently at and the next steps in our early retirement plans. My regular readers know that I’m leaving my job at the end of this year and we’re moving to Panama next summer (2019). It seems like an eternity away, but it’s really not a lot of time. So the good news is that the adventure is almost ready to begin! The bad news is that we have a lot going on to make this happen successfully. I’m a planner by nature, but it’s been a little stressful as each of these big steps has a lot of little steps. Additionally, things all need to fall in a specific order and seem to hinge off one another. Right now, we’re working our way through some of the “fun” in the process. It’s hectic, but we’re making progress. And you thought I was the only naked guy… all my meetings run that way, too! Leaving a job is always a tricky facet of life – especially one you’ve been at for almost two decades. When’s the right time to let your company know? In my case, it made sense to give my boss some advance notice. I actually filled him in on our plans early on while things were still a little fuzzy. And I’ve updated him along the way to ensure he was in the loop as we decided to move things up as well. However, this was only half the battle. I needed to let my coworkers in as well… particularly the engineers I manage. One of the next steps in our early retirement plans was to break the news to my team at our monthly meeting. In July, my boss and I decided I would wait until my August meeting before I made my announcement. Easy enough, right? All I had to do was wait for a little over a month to keep this a secret – something I’ve kept under wraps for about a year already. Unfortunately, word got out a little early to our sales department thanks to a leak in the company. Weirdly enough, that leak is also the sales VP and one of my financial mentors. That didn’t sit well with me. Out of respect, I wanted my engineers to know my plans before the rest of the company knew (management excluded). Amazingly enough, though, the account managers all kept it on the down-low and didn’t spill the beans to my engineers. So, I had my departmental meeting last Monday morning and shared my news at the very end of it. I also filled everyone in on who my replacement would be – an engineer in the department who’s very well-respected and the obvious choice. 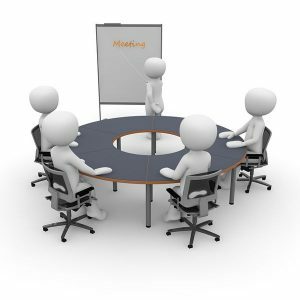 Even though we had a talkative group with some good discussion throughout the meeting, things got quiet after I announced the plans. It wasn’t a bad quiet, but more like a shocked, loss-of-words type of quiet. Later that day, however, several people congratulated both my replacement and me. Another manager also announced the news to his group that morning so I heard from his guys as well. The whole company is finally “in-the-know” now. I think I expected more doubt and disbelief in our plans, but everyone seems to be pretty supportive (at least to my face!). I didn’t announce that we’re FIRE (financially independent / retired early), but I’m getting more comfortable telling people that later when they’re asking me one-on-one. However, I usually also mention that I’ll be continuing on some other projects that will bring in some income like this blog. Overall, things went well. As stupid as it may sound, this was something I’ve wanted to get out there for a while. So this was a huge load off my shoulders. Our original plan was to sell the house next spring. Then we could move into an apartment for a couple of months until next summer when we split town and head to Panama. Well, as Mrs. R2R might tell you, I have issues. The real estate market’s still hopping and it’s been a seller’s market, to say the least. In my area, we’re seeing asking prices and small bidding wars going on. Who knows if we’re at the top or not, but I started getting antsy that we might miss out on this fun! I’m Ok with missing out on some gain if the market continues to grow, but I really don’t want to take the chance of losing out if it cools off. And more importantly, when you’re selling and not planning to buy another house, selling high is definitely the way to go! Then she said, “Well, grab me one because I’m probably going to need one to hear whatever you have to say…” Touché, wifey, touché. I then pleaded my case to Mrs. R2R that I wanted to sell the house now instead of waiting. I even threw out the “I’m putting the foot down.” If you know my lack of seriousness, that would make you laugh. She wasn’t thrilled with the idea of spending even more time in a small apartment, but she conceded anyway. For some reason, she seems to trust my judgement more times than not… maybe that’s why she’s so perfect! 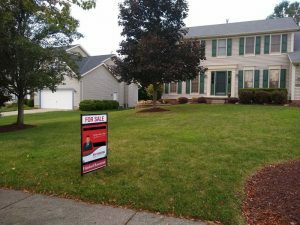 So, over the past few weeks, we busted our @#$es rushing to get the house ready to sell. We made some minor repairs throughout the house and eliminated of a lot of the clutter. We also went through and sold a bunch of the bulky items that we wanted to get rid of right out of the gate. Snowblower… gone. Generator… see ya!. Patio furniture… adiós! Elliptical, grill, TV, weed eater, grill, card table and chairs… buh-bye! There were a bunch of other things that went as well. Not only did this help to declutter the house a little it, but now we also don’t have to worry about moving these things either. It’s been about a week since the house has been on the market and we’ve had a lot of showings and an open house. I would love to have the house sold by the end of the month – fingers crossed! My only concern that’s been keeping me up is that kids are all starting to head back to school now. That’s when the buying seems to slow down quite a bit. Hopefully, we didn’t wait too long to incorporate this into the next steps of our plans! P.S. If you haven’t sold a house you’re currently living in, know that open houses are the devil. Not only do you need to keep the house immaculate and vacuum and mow excessively, but you also break the frugality code by eating out every evening during the actual open houses… yuck! There it is – our storage unit in all its glory. Not that exciting, is it? We’ve set a date to move out of the country on 8/1/19. In the meantime, we’ll need a place to stay here since we’re selling the house. So one of the next steps in our plan is to move into an apartment. And for now, we have our eyes on an apartment complex about a mile and a half from our house. It’s a nice little area and, as an added bonus, Mrs. R2R’s cousin lives there as well. Staying in the area is important so we can continue to be in the same school district for our daughter. To top things off, the apartment will run about half the cost of our current mortgage! My concern is that they only have a couple units available and they tend to go pretty fast. If they’re gone once we sell, we’re going to need to rethink our plans. There are other apartments around, but remember that decluttering we’ve been working on in our house? 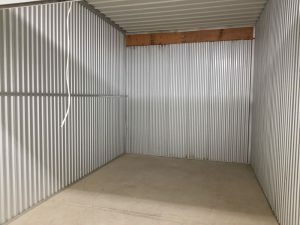 Well, we already got a storage unit to help with the process. It’s literally right across the street from the apartment complex… how’s that for convenient?! We could sign for the apartment now, but I don’t want to be stuck with a mortgage payment and a rent payment. Regardless, I’m ready to move into an apartment sooner than later because that means we’ll have sold the house! Personally, I enjoy apartment living… having nothing to maintain (repairs, lawn, snow removal) makes life a lot simpler and I definitely like simple. However, Mrs. R2R isn’t really looking forward to this stint. She’s got a bad taste in her mouth from neighbors we had years ago when we lived in an apartment. But, it’s really only a small temporary detail in the next steps of our plans, so she’s on board. Thank you for shopping at Jim’s Kwik-E-Mart… come again! Once we’re in the apartment, I’ll be able to breathe a sigh of relief. Believe it or not, the hardest parts of our plan will be out of the way. The house will be sold and we’ll be living in our temporary place until we move. At that point, all we have to do is find a place to move to in Panama and, well… move. We’re planning on only two suitcases each so that limits what we need to worry about. And after December, I’ll officially be without a W2 job… woo-hoo! So that means I’ll have some more time on my hands to work with. I’ll be spending some of that extra time concentrating on selling all our crap. If everything works out, we’ll be in the apartment complex across the street from the storage unit. Perfect to be able to grab a few things at a time and sell ’em off! Seven months of taking our time getting rid of our stuff sounds like a great pace. I’m hoping to sell most everything. However, we’re going to hang onto some stuff for the time being. A lot of my tools, some memories, a couple small pieces of furniture, and a few other odds and ends. We’re anticipating moving everything into a much smaller storage unit at the facility before we leave. Then if we decide to come back to the U.S. after a year, we’ll have some things to start with. If after a year we decide we’re staying in Panama, we’ll come back up, sell off most of what’s left, and bring some of the remains down with us. In between selling off our crap, we’re also going to have some fun enjoying my first taste of freedom. And I want to get in one last year of sled riding before we hopefully never have to deal with snow again! The move to Panama can’t come soon enough – let’s get this adventure started! The last part’s the easiest, believe it or not – we find a place in Panama and move there in the summer of 2019. We’ll rent a house for a year and then decide if we’re going to continue renting, buy a house, or move back to the U.S. As of right now, if things are good, I’m guessing we’ll find a permanent place to live down there and probably continue to rent. There will actually be a lot of different things we need to do like changing our state of domicile here in the States, setting up health care, and porting over our cell phones. But I think that although there will be a good number of things to do, most of them shouldn’t be that difficult. I’ll map some more of this out with you guys as we start to get a little closer. Organizing all the details of our move is a big deal to me. I struggle when I feel like I’m losing control and don’t have everything laid out. I mentioned some of the high-level tasks we need to get done, but there are really tons of details we need to tend to in order to make this happen successfully. Google Keep is something I’ve become addicted to for most of my notes and checklists. It’s designed to be simple and easy and I like that. However, it’s too simple for keeping everything together for our early retirement plans. I ended up trying out Trello and it was exactly what I needed! You want to talk about a good way to figure out the next steps for any planned project – this is the way to go! I created one board with over 20 task lists. 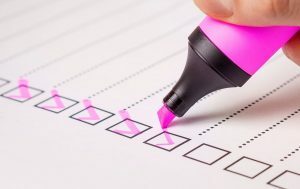 It has the details of every task we need to do leading up to retirement, the muss and fuss involved in the move to Panama, and the things we need to do while there (including how to establish residency). The service allows for easy collaboration too, so Mrs. R2R can keep up on it and add her notes as well. The best part is that most of it’s free, so it’s definitely worth checking out! That’s the latest with the Route to Retire household. It’s been a stressful run over the past month or so, but once we get past the hump of selling the house and moving into the apartment, I’m guessing I’ll sleep a whole lot better. 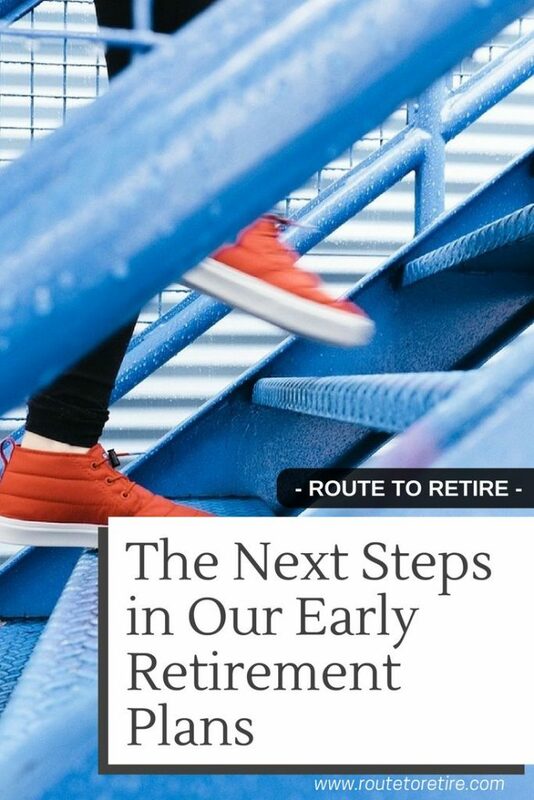 So those are the next steps in our early retirement plans… what do you think? ← Is FIRE Possible Without Knowing Your Numbers? I forgot how much work goes into moving. It sounds like you have a good plan. AHHHH!! I was so excited to read this update! Good luck on the house sale! I think it’s smart to list now instead of waiting. We’ve already seen home prices drop around here. I hope you get into the apartment complex you’re looking at too. I wanted to sign an apartment lease right away when we were selling, Chris wanted to wait (not risk having to pay a mortgage and rent). We waited and it worked out, still found a good place within blocks of our old home. I’m assuming you’re talking about the Tocumen airport (PTY in Panama City). You might be surprised by how nice of an airport that is! More importantly, I hope you guys really do come visit – that would be a blast for sure! Great update! I was on a similar schedule when I left my job at the end of 2016. I told my boss in January so they would have time to do a search if they wanted. They ended up promoting from within and my successor was named around August so we had time to do a good transition. By December I was able to drop to a part time schedule and ease out at the end of the year. 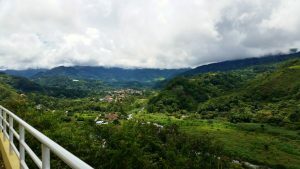 Our international location is Costa Rica, although we only intend to be there part time, and not until next year when we are officially empty nest, but we thought pretty hard about Panama too and intend to visit there at some point. My former boss is from Panama and moved back there a few years ago. I can SOOOO relate to where you are. We were there, too. Our house sold in 7 days, and we had to sell everything in one weekend. Crazy, but we got it done. So will you. Sounds like a good plan, enjoy the journey! Wow, that is so exciting! I know for me things don’t feel real at all until changes start. Before that, it’s all just abstract musings. I wish you the best on your journey! So cool! Thanks, Captain – much appreciated! I think you’re making the right choice. The market is cooling down here in Portland. We’re looking to sell in the next year or two and I’m not looking forward to it. My timing is never great with moving. 🙁 Anyway, good luck with the move and don’t stress out too much. Just stumbled on your blog today and it is interesting to read about the preps you are making to move. It may be scary at times with many “what ifs”. Wishing you all the best with your move and will visit again to see how you are progressing. It looks like you’re making good progress Jim! It can feel awesome to declutter your life. I used to move all the time when I was younger and everything I owned fit into the trunk of a car. It was quite the lifestyle, but I’m not certain I’d want to go back to it. Wow, fitting everything into the trunk of your car is truly impressive! As crazy as it sounds, I think I’d like that… almost like another level of freedom. We’ll be pretty close to that when we make the move, but we’ll still need to figure out how to transport the three of us plus six big suitcases from the Panama airport to our new place. Just the thought of moving sounds stressful. Im really good about continually selling things on craigslist and donating unused items. But somehow owning a house you just figure out how to accumulate stuff. Especially right after getting married. We found that out last year. We had guests asking why there was nothing left on our registries and its because we live in a little city house with minimal storage. After graduating college literally everything I owned fit into a 5×8 Uhaul. Skis, kayaks, kithchen pans, bed, everything. Simpy amazing. I just found your blog so I will be following along. My wife and I are just beginning our Fi journey so maybe we’ll join you in Panama in 10 years! Thanks for joining in on the fun, Isaac – good to have you along! And, of course, we’d love to see you down in Panama in 10 years! That’s incredible that you were able to fit everything into a small U-Haul. You’re so right on how easily stuff accumulates. We’ve been living in our house for almost 10 years and although I hate crap, I still feel like we have a lot of it. At least it’ll be gone soon though! I so hope I get to meet your wife and daughter someday! Good luck with the house sale. I think it’s a good plan to sell it now. I’d do it too but my husbands not ready for that yet. Looking forward to seeing you soon at FinCon! Well, if you want to meet them, you better hurry back to Cleveland or pretty soon your only choice will be to come down to Panama to visit… not a bad option if I do say so myself!